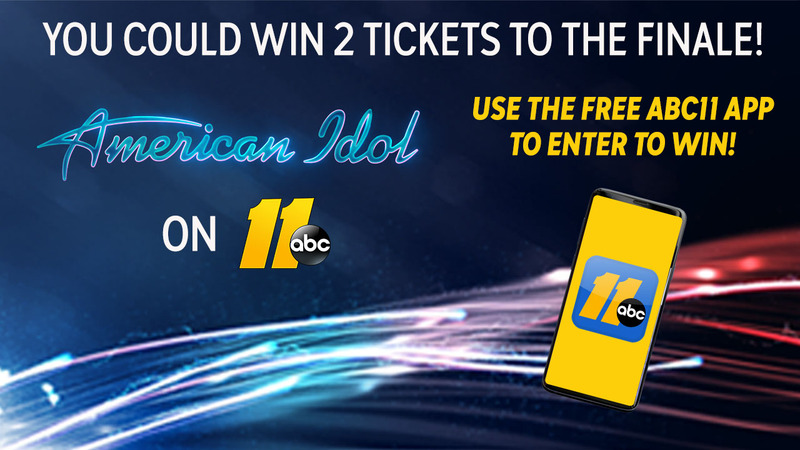 You could win two tickets to the LIVE finale of American Idol! Download the ABC11 app on your current phone. Open the app, look for the Idol Sweepstakes Button, tap it, and you're ready to enter! You may enter once each day. Winner will be selected on or around Tuesday, April 23, 2019.